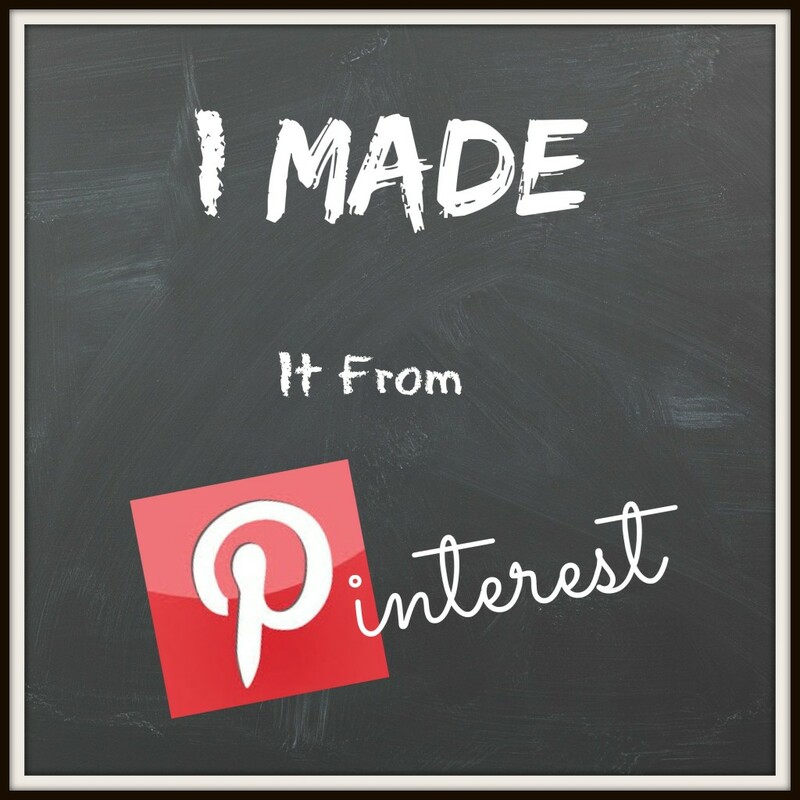 Join me in a new series titled “I Made it from Pinterest” where I make an entire menu from recipes I find on Pinterest. Whether it’s something that I’ve never made in my life, or a common recipe with a new twist, I’ll show you step by step how I do it, and, of course, include the original recipes. I’m so excited for this new series! If you know me, you know I love to cook and try new recipes so what better way to do this? After all, I already spend HOURS on Pinterest looking at recipes! So, I set to work trying to figure out how I could make some from scratch. Luckily, my mother blessed me with excellent bread making skills by giving me a bread machine. 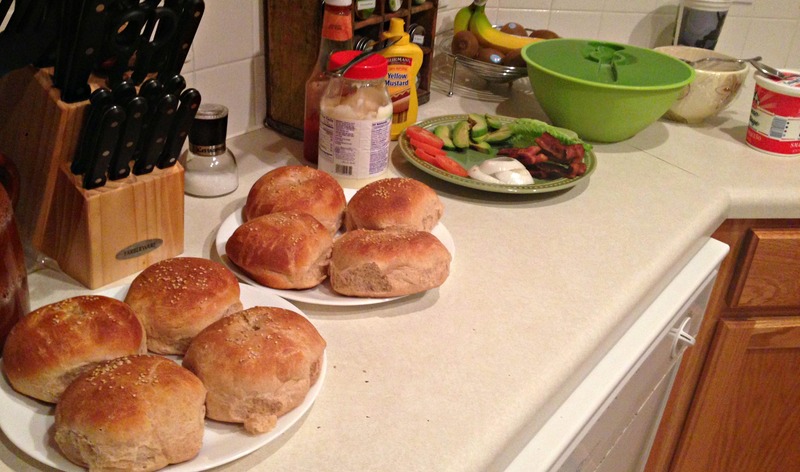 These whole wheat buns looked like the perfect addition to a nice juicy burger. Not only that, but I could make the dough in the bread machine! 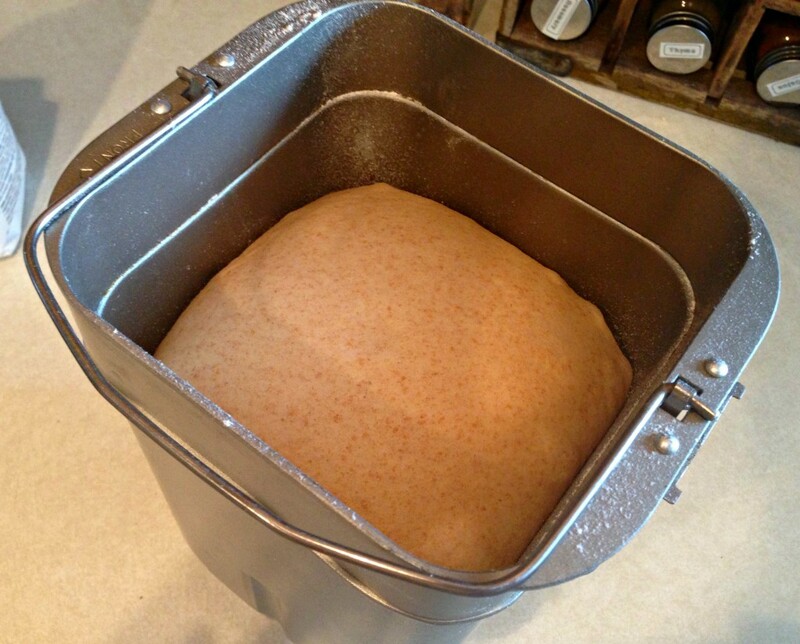 I threw all of the ingredients–in order–into my machine and hit the dough cycle. After an hour and a half I had this! 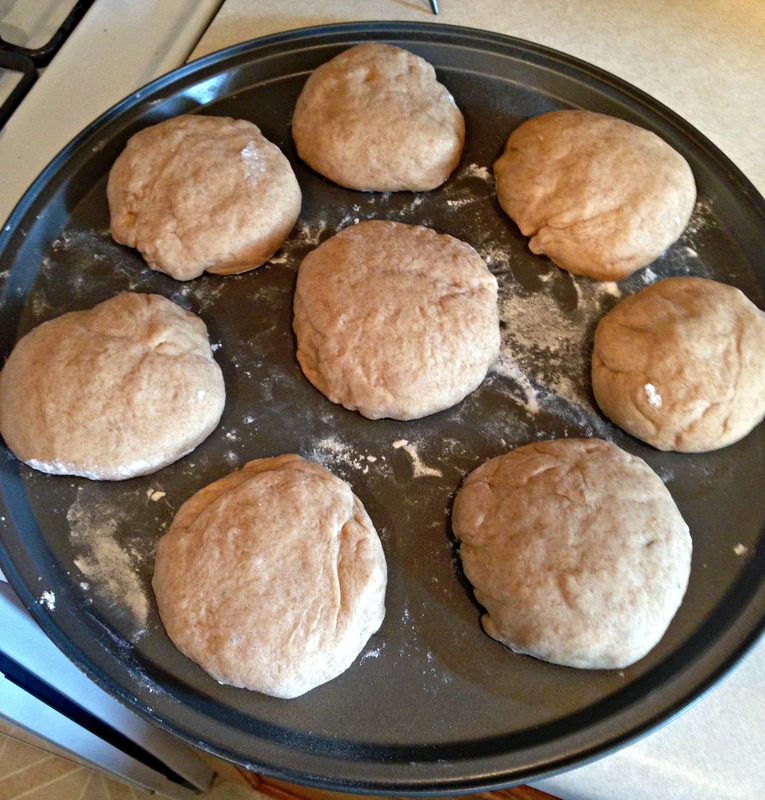 Next, I rolled out the dough and divided it into 8 equal parts. 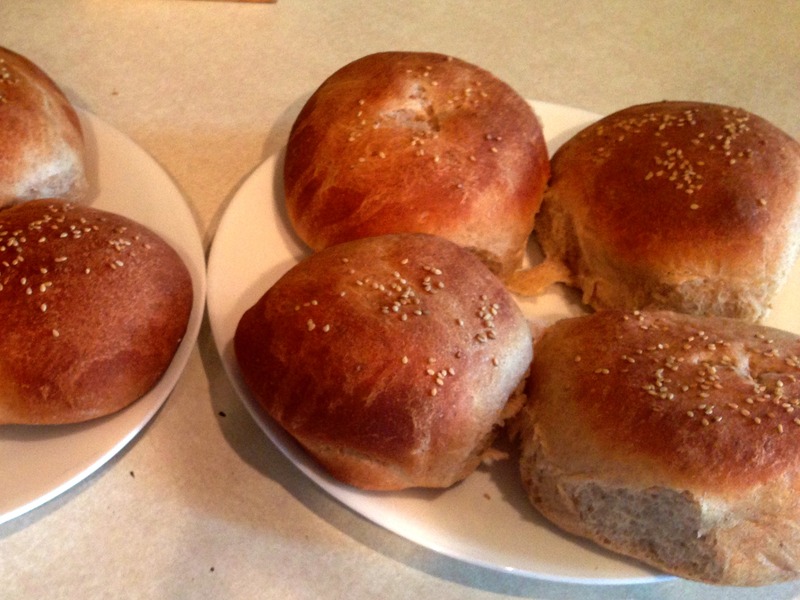 I shaped those parts the best I could into what I would call bun shape—not sure what other shape you would call it, as they are flat on one side and rounded on the top. 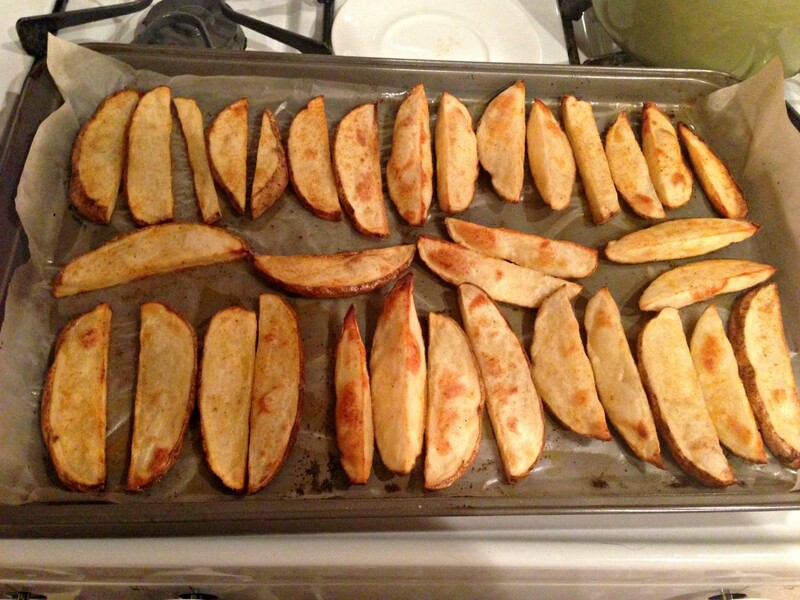 After letting them rise I sprinkled them with sesame seeds and baked them until they were golden! They look delicious don’t they! 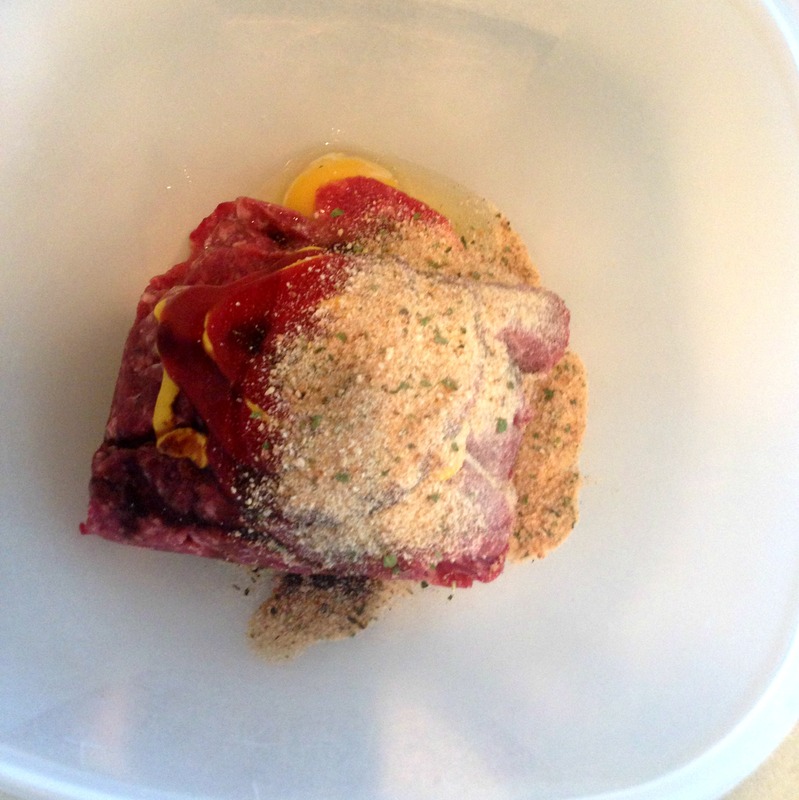 Next I was on a mission to find the BEST hamburger recipe out there. I have to say, the one I found is definitely a top contender. These were the juciest burgers I have had at home in awhile, AND they didn’t fall apart on the grill. I’ll admit to being one of the worst patty makers on the planet. Usually I leave that task to hubby, but with this recipes I was actually able to make patties that stayed together. The only thing I left out was the diced onion. I like onion on my burgers, but didn’t want it in the patties. I have no pictures of the patties, burgers on the grill, or the burgers once they were cooked, so here’s a picture of everything in a bowl. Here’s to a wad of raw meat! Finally, what would be a hamburger meal without some fries?! 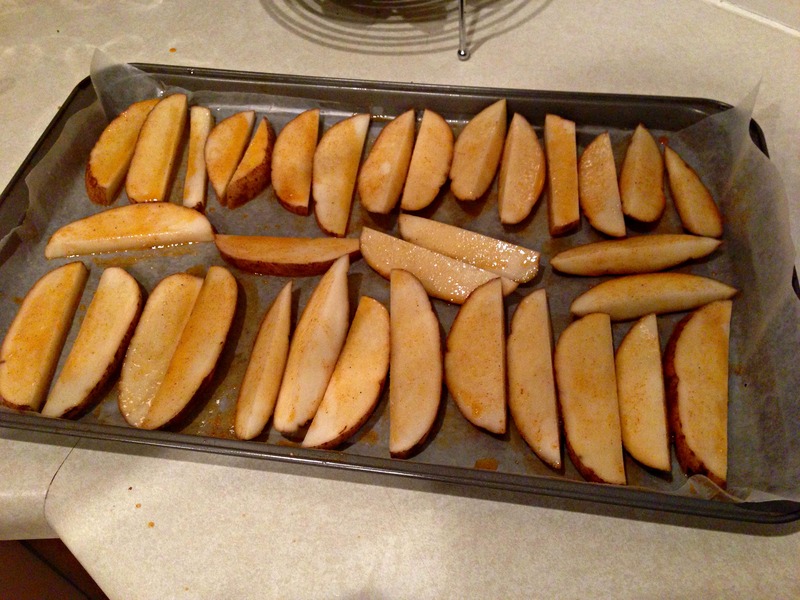 I had pinned these oven fries awhile back and decided it was time to give them a go! 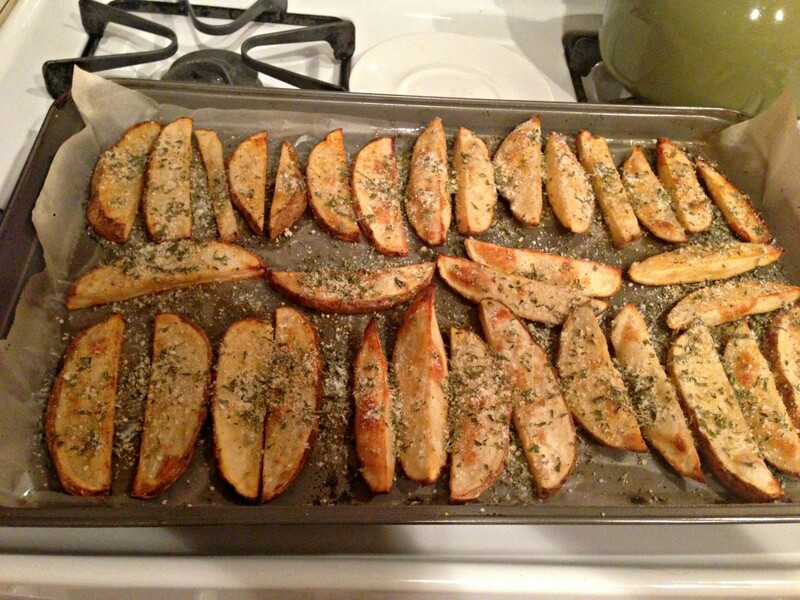 I went a little overboard on the parsley and Parmesan cheese, but these turned out to be pretty tasty! Even if I only had dried parsley instead of fresh. Here is our spread. We even had a salad and some fruit to go with everything! 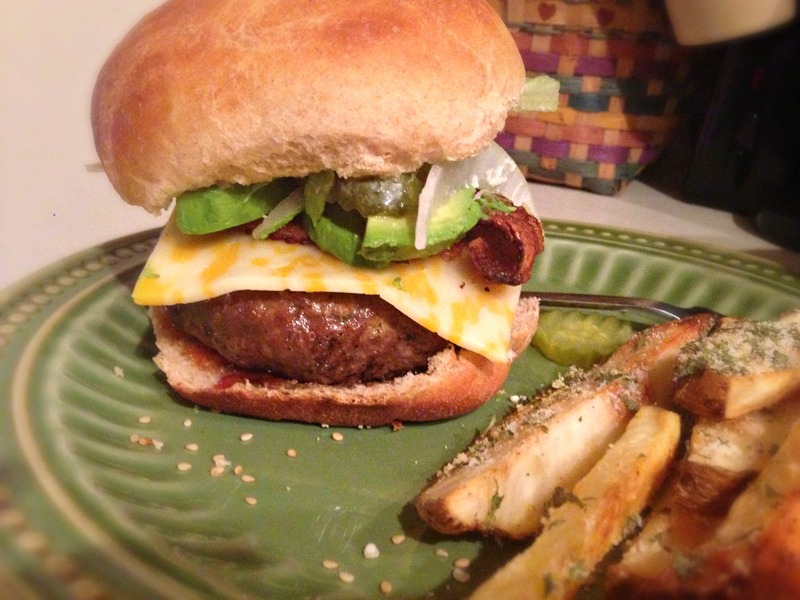 Topped the burger with some avocado, bacon, onion and pickle. Delish! Now I’m off to plan my next menu! This makes for a very happy girl, getting to spend time on Pinterest for a purpose!